Finding ways to create a hands on activity with a book can be such fun. 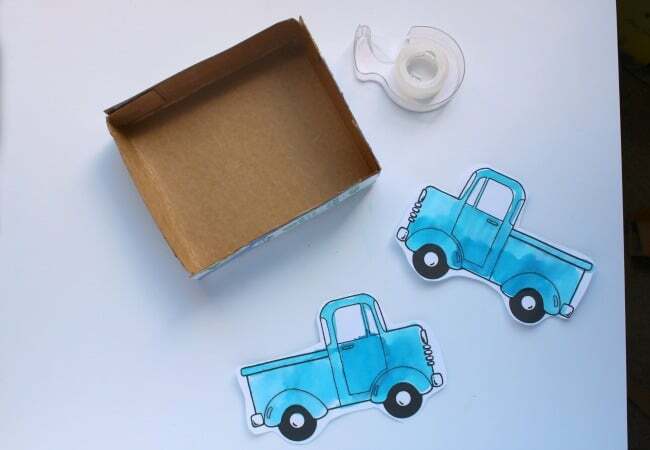 This Little Blue Truck craft is the perfect way to make your own truck with using a recycled box and watercolors to make a storybook extension activity. 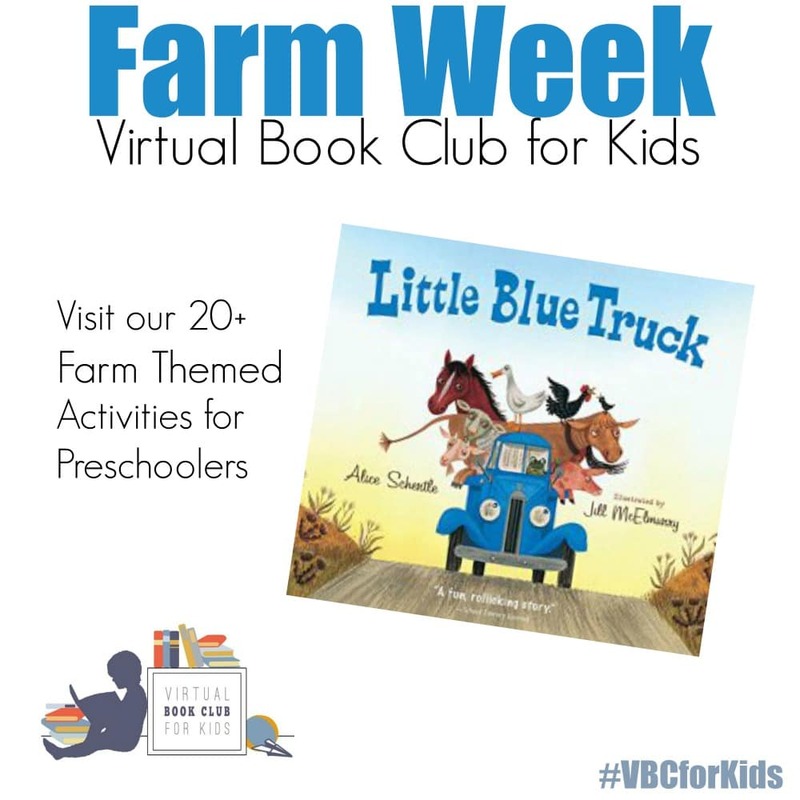 This week’s featured book is Little Blue Truck for the Virtual Book Club for Kids . Come join along! You just a few things to make this fun project with your child for hours of book play fun. 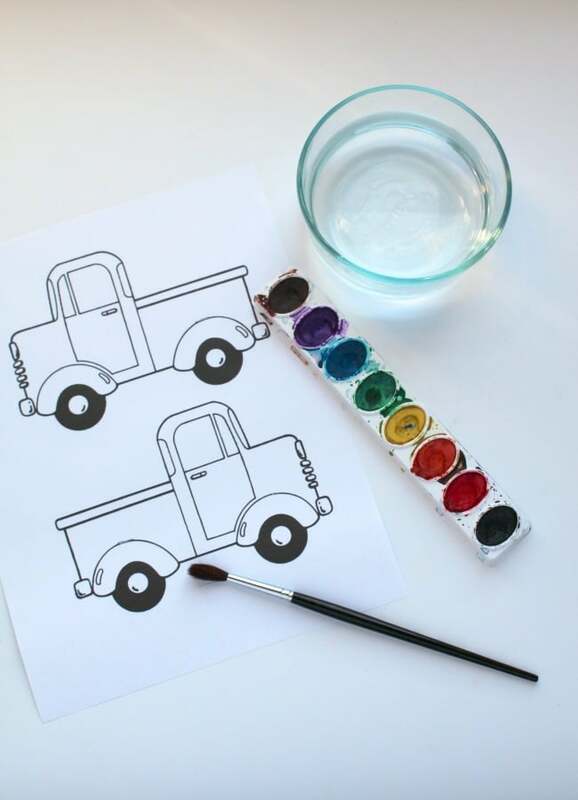 Read the story and have your printable ready with the water colors and your child will be on their way to making their very own Little Blue Truck Craft . We read the story Little Blue Truck with our farm animals near by to act out the scenes from the story while we’re reading it. We didn’t have a blue truck to go along with the story and my daughter was looking for a way to create one so we came up with this idea. I adapted this truck outline from TwistyNoodle.com using PicMonkey to flip one side of the truck image to go on both sides accordingly. Trust me by my own mistakes, I printed two of the printable before I realized that you needed the reversed version too to pair up to both sides of the cardboard. To create you can take a screen shot and rotate it. There’s something so magical about pulling out the water colors with the kids. It’s such an easy activity that doesn’t end up too messy. We thought it might be fun to make our our truck. We made the Bus from Mo Willems book which reminded us of this activity too. Find a box that you can recycle into your new truck for the farm animals to ride one. You can cut it down to length to match the size of the printable which is about 8 inches long. Tape up the sides if needed to make it the right size. 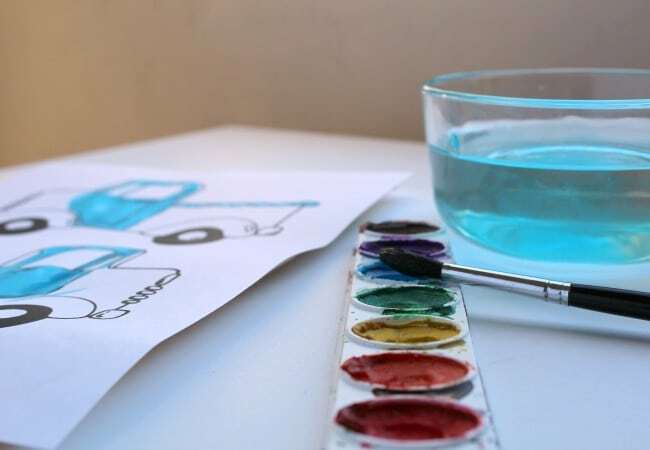 Then once the water color on Little Blue Trucks is dry use your scissors and cut out the outline of the truck. Attach each side to the recycled cardboard with tape. If needed add a bit more to make it more durable for playtime depending on your child. 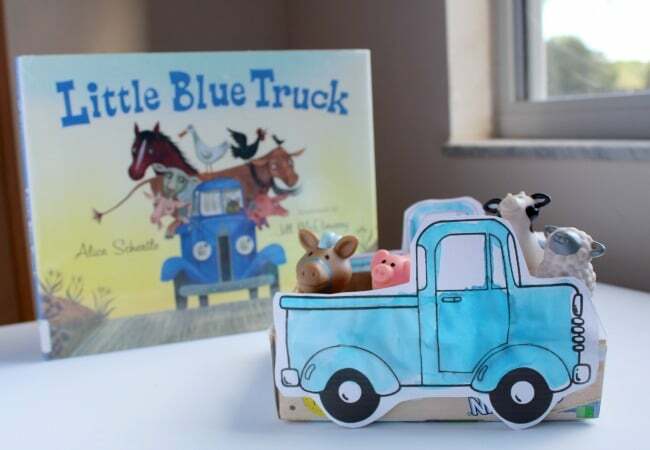 Now it’s time for the farm animals to jump on board just like they do in the story Little Blue Truck. 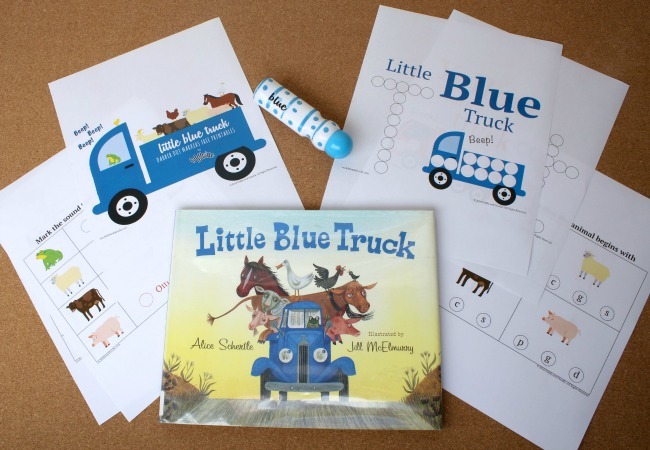 Encourage your child to retell the story using their new Little Blue Truck Craft and their farm animals . 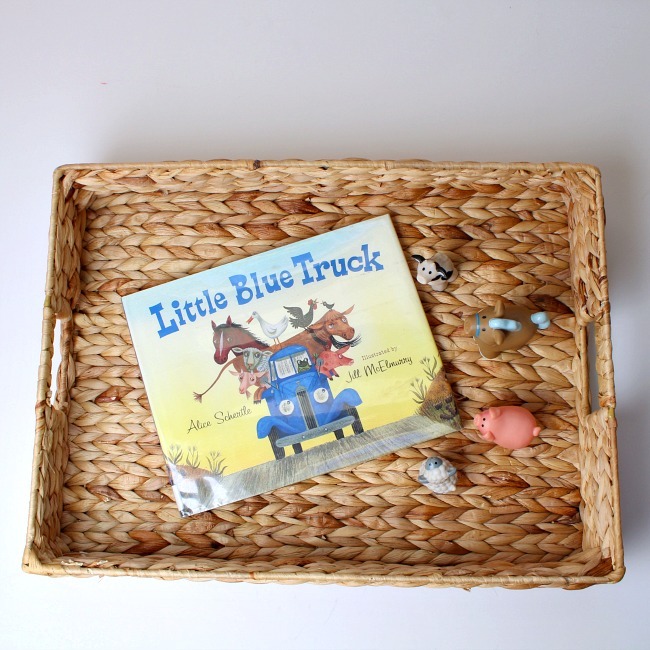 See if they can create their own Little Blue Truck storyline using the Truck Craft. Here’s a quick tip for story writing with your child. Don’t forget to go print out the Little Blue Truck Dot Marker Set too. The blue watercolours look so much nice than poster paint. I need to start using watercolours. aw, I lOVE how you recycled the box!